Loving mother of Andy (Lois), Tom (Pam) and Bob (Debbie). Cherished grandmother of Lyn (Micah) Backlund, Matt, Jessica, Sarah and Christopher. 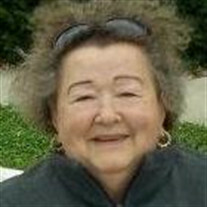 The family of Danuta W. Swider created this Life Tributes page to make it easy to share your memories.